Corporate Brief | Square Pharmaceuticals Ltd.
SQUARE today symbolizes a name – a state of mind. But its journey to the growth and prosperity has been no bed of roses. From the inception in 1958, it has today burgeoned into one of the top line conglomerates in Bangladesh. 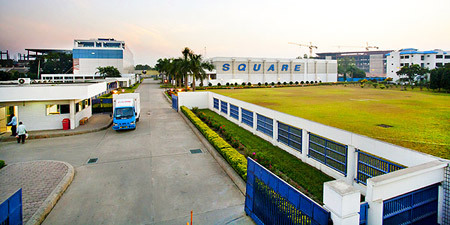 Square Pharmaceuticals Ltd., the flagship company, is holding the strong leadership position in the pharmaceutical industry of Bangladesh since 1985 and is now on its way to becoming a high performance global player. Company Name : Square Pharmaceuticals Ltd.
Business Lines : Manufacturing and Marketing of Pharmaceuticals Finished Products, Basic Chemicals, AgroVet, Pesticide, Small Volume Parental Opthalmic and Insulin Products. Square Pharmaceuticals Kenya EPZ Ltd. Registered Address : Square Centre, 48 Mohakhali C.A.